A third century Roman spatha (cavalry sword). Diamond cross sectioned blade has a 1.5mm edge. 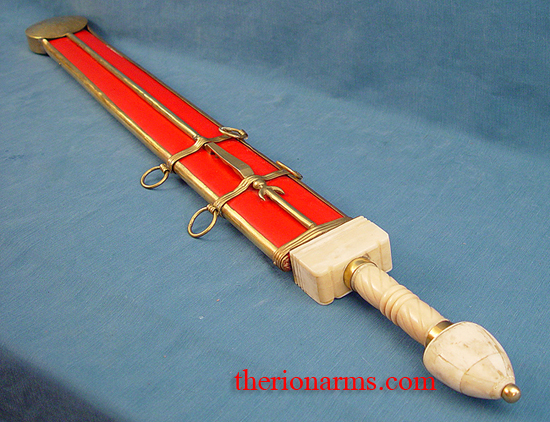 Hilt is bone with brass accents, scabbard is wood covered in leather with brass fittings and four ring suspension system. A very handsome sword! guard: 2 5/8" x 2" x 1 1/8"